Want to landscape your garden, make a topiary or gazebo set amidst a bed of roses at your estate back home, while sitting in far-flung Sweden or Netherland?Well professional property management start-ups are coming to the rescue of NRIs, who want help in managing their estates, farms and apartments in India. And nothing is too big or small for start-ups like Portiqo, Konnect Realty, Help at Homes — from unblocking a choked sink pipe to setting up a rain water harvesting system to collecting rent from tenants — these start-ups provide A-Z services for all property related services. Property managers say they have clients from nearly 20 countries worldwide, including US, Australia, New Zealand, UK, Germany, Gulf countries. “We even have a small percentage of clients from Africa,” says Mohan U, owner of Konnect Realty. Tenant fee management, commercial property rent-outs, crediting advances or wiring money to different countries are the normal duties that fall on the shoulders of property managers. “We ensure prompt payment of water tax, corporate tax, payment of maintenance to building societies. We even undertake interior designing projects, refurbishing, garden landscaping, creation of flower beds. For NRIs with farm houses or farms, we undertake fencing, plantation of crops and payment to gardeners, caretakers and other employees,” says Mohan. At times, property managers are even asked to build houses from scratch. Clients sometimes ask for construction of garages, summer houses, outdoor sheds, gazebos or a miniature playhouse for their children. “We obviously don’t have the expertise to cater to all their needs. But since we are in the business, we connect with about 500 specialists, including horticulture experts to satisfy our clients,”says Mohan. And clients do appreciate the range of services they offer and the professionalism that comes with it. “Despite having a lot of relatives, friends in Chennai, we were unable to get basics done because everyone is so busy these days. Once, the electricity connection in our flat was disconnected. But with a property manager, we were able to get a lot of work done and at very affordable rates,” says Prasad Rao, a software consultant from SouthLake, Texas. “But we had to do some research before we could zero in on a manager. Many of the websites we checked were fake, till we found Rajam Properties and they were reliable,” cautions his wife Beulah Rao. Another reassuring factor about property managers is the constant Before-and-After pictures and reports they send of the property. For smaller repairs like clogged sinks or concealed wiring, property managers send photo updates on WhatsApp or Facebook. For more extensive repairs, reports are created and updates are send in a phased manner. Most property managers already have expertise in real estate before they branched out. T Chockalingam of 360 Property Management Services said earlier he was doing this for friends and relatives, before he realised it could be monetized. “The idea was mooted by an NRI friend of ours and we realised it could be a big money spinner. We usually sign one-year comprehensive contracts with clients with annual renewals,” says Chockalingam. Sometimes property managers also have to handle the ugly side of this business — the eviction of tenants. Property managers say they have seen more evictions from the commercial renting space than in residential and the modus operandi is to use the lawyers representing the clients to ensure they are on the right side of the law in evictions. With a multitude of designs and options, coffee tables have evolved to be much more than the purpose they were originally designed for. Call them teapoys, centre tables or coffee tables, as they have been known of late. There was a time when teapoys were all about decor. Made of the best teak-wood, usually with curved legs and carved with decorative motifs, these beautifully detailed pieces were the highlight of every living room. Today, they have risen far above their mere decorative purpose. According to Swati Raj, architect, a coffee table usually acts as the binding factor for most living rooms. “When it comes to decor, it is all about striking a balance. If a room is heavily decorated, the coffee table can be a simple, yet classy addition that serves its purpose but doesn’t overpower the room, whereas a room that is minimally decorated can get a much-needed push with a well-designed coffee table,” she says. Furniture styles can be categorised mostly into three types traditional, contemporary and transitional. While traditional wooden furniture is still very popular due to its sturdy and long-lasting qualities, people have become more open to experimentation and don’t mind veering away from the traditional wood tables. “Although working with wood gives the craftsman a whole lot of freedom in terms of design, of late, other materials have been making a niche for themselves in the coffee table market,” adds Raj. However, with shrinking homes, the functionality and flexibility of any kind of furniture often takes precedence over the aesthetics of the piece. Many people are leaning towards customisations. The reason this trend is catching on is that one can get unique designs made and even add certain personal details to the piece for almost half the price quoted in big furniture stores. According to Pranay and Tanvi Joshi, who recently got a unique coffee table made, the time and effort they spent getting it made from scratch has been completely worth it. 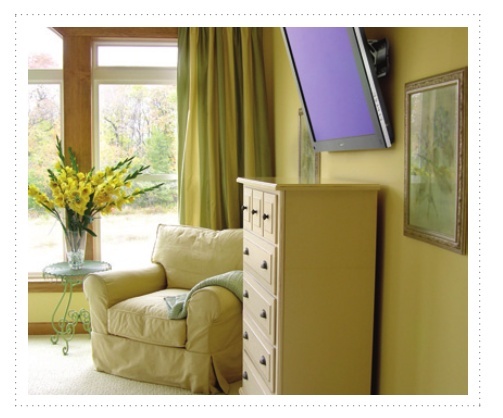 “We picked a design from a website and asked a local carpenter to replicate a design. It is a two piece table that can be merged to make a huge coffee table and separated to make two corner tables,” says Pranay, an IT professional. But professionally made coffee tables are not all the market has. Says Rati Rajagopal, a graphic designer, “I wanted an inexpensive centre table. So I picked up a big flat decorative clay pot, filled it with shells, glass pebbles and topped it with a round sheet of glass. It is very basic and that is the beauty of it,” says Rati. The booming construction industry is slowly waking up to the fact that using sustainable construction materials is the only way to coexist with the planet without any major repercussions. Brick by brick, my citizens, brick by brick,” said the great Roman emperor Hadrian once. Of course, the brick referred to something much greater than a block of baked mud; it stood for perseverance. To pursue what is right regardless of the norm and to evolve for the better. It has long been known that evolution in nature happens much more easily than it does with anything that is man-made. In the real estate sector, anybody even vaguely familiar with industry parlance knows that buildings have long been called concrete structures. And for that to change, things need to be done differently right from the planning stage. “Cities are turning into concrete jungles. Although the phrase has been overused in recent times, it is not untrue. For something that is rapidly covering the face of the earth in all shapes and sizes, it is high time we shift to materials that are more compatible with the planet. That sustainable building materials are the need of the hour is not news, but in order to actually make a difference, we need to bring about a drastic change in the way buildings are planned,” says Murugan G, a self-made designer and architect who strongly advocates the use of sustainable building material. Evolving to suit the current conditions is the only way to move forward. This however is easier said than done. For a regular working professional, the idea of building a house that does not contribute to the destruction of the planet and yet suits his own needs, as appealing as it may be, stands the risk of never being realised. The reason behind this is the lack of awareness and availability of resources. For Ivan Joseph, a retired banker, building his own house with sustainable materials was one of the most difficult tasks he had undertaken. “It has been over seven years since our house got built. Thankfully, today everything from the materials as well as the services involved are much more easily available, but back then plenty of people had warned me about what I was getting into. My wife and I had been planning an eco friendly house for long, but we could never have imagined the difficulties we would have to face at every step of the way. Right from sourcing the materials to getting the right professionals to do the job, everything was an uphill task. Usually building a house this size takes about a year but ours took almost three years,” he says. Currently, there are a number of products in the market like slag cement, flyash concrete, flyash or AAC blocks, engineered wood frames, UPVC glazed windows, green rated electrical and plumbing materials and equipment and low VOC paint. Although these products are only available at a premium, increased use will hopefully lead to affordable eco-material in the future. “In the current scenario, sustainable products are getting a mixed response but are definitely available if sourced properly. However, acceptability of such products is growing at a very slow pace. As builders, we need to play our part in making the world aware of the benefits of such practices and make the world a greener and better place for our future generations,” says Aadarsh Surana, managing director, Amarprakash Developers. Most people who are not part of the construction industry are not aware of the options that they have. The lack of awareness is what needs to be addressed first. When there are better options available easily, people will be open to try them out and over the course of time that will become the norm. The sooner we realise this, the lesser will be the damage control that we will have to do in order to reverse the ill-effects of having used inappropriate materials for years together. Granting planning permission for buildings and taking action against violators will get easier for the Chennai Metropolitan Development Authority as the planning body has decided to digitize the documents. What’s more, an application under Right to Information (RTI) has forced the hands of the authority to embrace technology for transparency. Digitization will cover those buildings which have more than two floors (in addition to stilt). Once implemented, this would also mean quicker replies to RTI applications seeking details of buildings. Now you are unlikely to get details of a building that is more than 10 years old since the papers are destroyed in the absence of a facility to store the growing pile at the CMDA offices. “We normally destroy documents that are more than 10 years old,” said a CMDA official. “Digitization of documents is the way out. This will enable us to not just refer old files if needed, but also reply to RTI questions on old buildings.” Digitisation figured in the agenda of a recent meeting of CMDA. “We will start scanning and storing the approved planning permissions right away. It may be followed by other documents like completion certificates,” said another officer. CMDA deals with all planning sanctions and completion certificates for constructions that are more than stilt-plus-two-floors falling in the limits of Chennai Metropolitan Area. In 2015, the authority provided more than 330 approvals for special buildings, an increase of 40 from the previous year. According to him, the RTI Act does not make it mandatory for departments to give information about matters that are more than 20 years old. “The 20 years cap was created because it would be a tedious process for officials to search for details from old records. Digitization will pave way for elimination of the clause, where public information officers can have old data at the click of a button,” the RTI activist said. That odd and unused space in your home can get transformed into something beautiful and useful with more insightful planning. When you choose to design and decorate your home, you make sure that no stone is left unturned. But there can be situations when even after catering to the design requirements of the entire house, one part still sticks out like a sore thumb. An odd corner in your home is enough to ruin all your hard work. Many homemakers and designers are transforming that unused or odd space into something that can provide utility or make it look artistic. A work space, a small library, a bar unit or simply a zen fountain are ideas that can be given shape to give the corners of your home a new look. 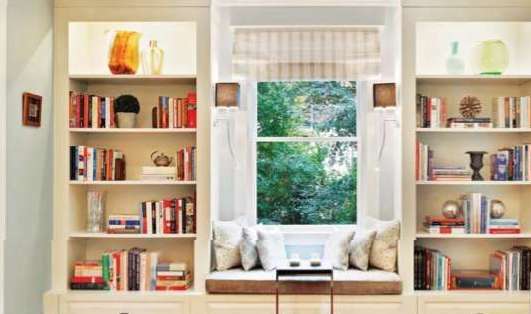 You can let your imagination run high depending upon the space you have or have that quiet corner for yourself in the house which you always wanted. However, he explains there are many factors to be considered before finalising the decor for such spaces. “Lighting, passage, the corner of the room and the size of the room matters before deciding upon what to do with the odd space in a room,” he says. Writing den has so much more potential than a wardrobe to store brooms and umbrellas,” says Kapoor. S Balasubramanian, proprietor, Zenith interiors maintains that the decision to spruce up an odd. A lot more needs to be done to make our buildings compatible to differently abled and senior citizens. Do the current construction norms require real estate developers to make specific provisions for the differently-abled, disabled and senior citizens? 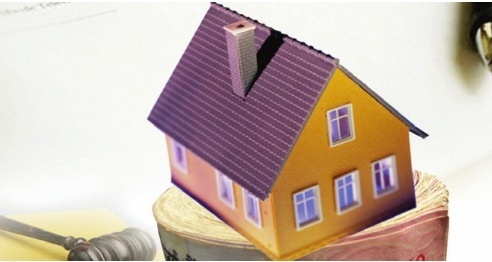 They do but as is still the case in many areas of the Indian real estate industry, sufficient implementation lags seriously behind the on-paper regulations. The Model Building Bye Laws 2016 (Chapter 8), IS Code 4963, CPWD guidelines for Barrier-Free environment give very detailed design and planning guidelines to provide a barrier free environment for differently-abled and elderly people. In fact, they have a dedicated chapter on design provisions to be incorporated in any building for public use for differently-abled and elderly people. Evacuation route and refuge provisions Building bye-laws are legal tools used to regulate architectural design and construction factors of buildings to achieve orderly development. They are essentially mandatory and are meant to protect buildings against earthquakes, fire, noise, structural failures and other hazards. In India, there are still a number of small and mid-sized towns which do not have building bye-laws. In the absence of any regulatory mechanisms, such towns are confronted with haphazard development which results in chaotic conditions and inconvenience to property users. The recently-announced Model Building Bye-Laws 2016 are intended to establish guidelines for the benefit of State Governments, Urban Local Bodies (ULBs), Urban Development Authorities, etc. and are an improvement over the previous Model Building Bye Laws brought out in 2004. Indian construction needs much change in approach when it comes to differently-abled and elderly-friendly real estate developments. 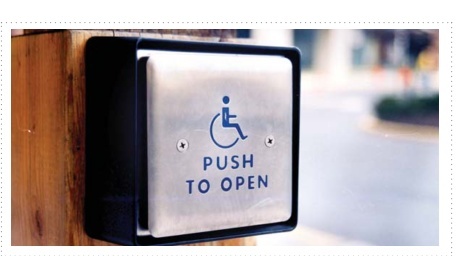 The change required is more in terms of making real estate developments disabled-friendly in the true sense and beyond mere compliance for records purposes. The scenario is better for metros and especially in popular retail areas, but the second tier of cities and towns are far behind. Young people in Chennai are increasingly experimenting with the look of their homes using furniture that is a mix of traditional designs with modern pieces. Matching is no longer the keyword in design lexicon. With mix and match experiments taking over, mixed furniture is now adding glam and glitter to homes. From living rooms to bedrooms or even the dining room, furniture trends are now a blend of the old with the new, the contemporary with the classic which add a touch of class and speak volumes about the personality of the owner. Mixing furniture is all about breaking away from the traditional ideas of planning the interior for your home that people a generation ago fretted over. It is about different pieces of furniture coexisting in your home complementing each other with its diversity. While mixing it up has been in vogue for a while, it is not trend specific, say furniture designers. “Young people in Chennai have become very conscious of how their homes should look,” says Roopa Shetty of Asharaa, a high-end home décor store in Chennai. “They have travelled a lot and got exposed to ideas on the internet. So they are open to new ideas and are willing to experiment. Here, people usually prefer a mix of contemporary styles and traditional designs which does not necessarily follow a particular trend,” she says. For a designer, it is a creative challenge to come with an eclectic mix that suits different groups. The trend is not to look at the West anymore. People want a throwback to tradition and are exploring designs that incorporate our heritage. In this scenario, everyone is a trend-setter, says Shetty. “We were on our way to Kerala and found this little coffee table made of driftwood in a small outlet,” says Samita Raghavan, a homemaker. “It stands out as an accent piece in our living room. Our dining tables and chairs are also a mix where we have alternated between stools made with dried-up tree trunks and chairs that match the table,” she says. “People are now increasingly looking for a classical-contemporary mix. A Victorian arch, a French console, a gilded mirror, or a traditional Indian arm chair, gives a unique and personalised touch to the room,” says Aparna Philip, chief interior designer at Spacewise, an interior design and home furniture store in Chennai. However, mixing furniture could be quite a tricky process and if one is not careful, their home could resemble a furniture market. “One should be careful to avoid bunching up too many pieces of heavy furniture or having too many accent pieces in one room,” says Shetty. A clutter-free look suits any room the best, according to Philip. “One should not have more than two to three accent pieces in a room and the colours of the fabrics should complement each other,” she adds. Pairing modern pieces that are similar to vintage designs is a good option and a central theme is important in a mix and match scenario, say experts. With some intelligent planning and placement, even a simple piece can transform your room completely by complementing the existing pieces of furniture. 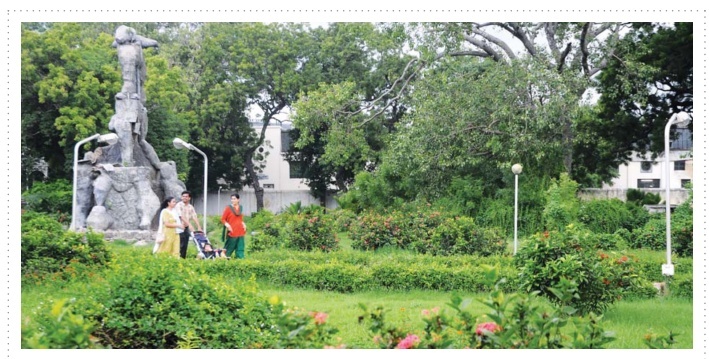 A surge in property prices is likely in Shenoy Nagar once the metro rail becomes operational here. A small neighbourhood located in the heart of Chennai, Shenoy Nagar connects Kilpauk, Anna Nagar and Aminjikarai. 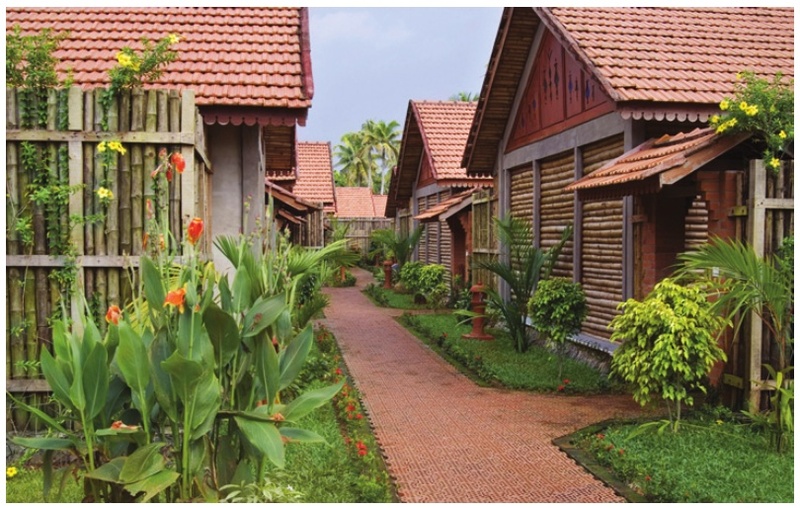 Largely a residential area, Shenoy Nagar is seen as an uomarket locality which offers a wide range of homes. According to Sonu A Modi, manager, sales and marketing, Fomra Housing and Infrastructure Private Limited, easy connectivity and good social infrastructure are major plus points for this area. “In all likelihood, metro rail services will be available between the Tirumangalam-Shenoy Nagar stretch. This will be the first underground stretch that is likely to be ready by the end of the year. The market will start gaining momentum once it becomes operational.” According to recent reports, the first of the Amma theatres in the state are likely to come up in Shenoy Nagar and T Nagar. “Presently, apartments with six to eight houses are getting sold out at a faster pace. The availability of ready-to-occupy houses, timely delivery and accessibility with key amenities (car parking and lift services) are few factors that influence buyers decision. In the current scenario, prospective buyers make a proper study of the area where they want to buy and come back only after 45 to 60 days to finalise the deal,” says Sonu. The cost of buying a house would range from 15,000 to 16,000 per sq ft. “The rentals fall between Rs 15,000 and 30,000 for a 2-BHK and 3BHK respectively,” says Sonu A Modi. Developers believe that the price correction, which was being awaited by buyers, has happened. “The perceived lull in the market was mainly because prospective buyers were waiting for some correction and reduction in prices as well as a more streamlined sizing of an apartment, which seemingly has happened. Enquiries have picked up and sales are on an upward trend again, thereby creating a comfortable platform for both buyers and sellers,” concludes Amit.